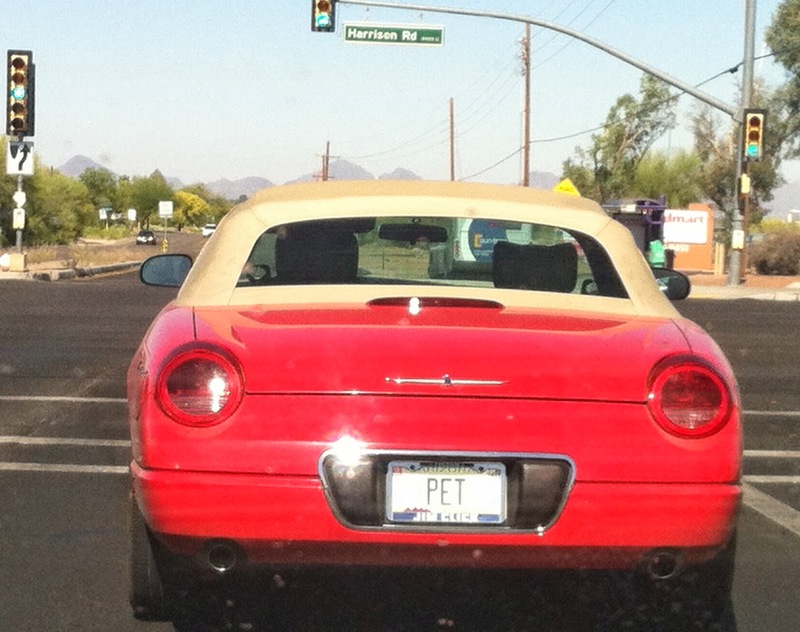 Tucson Daily Photo ~: Who's the pet? Subject to interpretation..... the car might be the driver's pet or the driver might be someone's pet... What do you think? If a man was driving, I'd say the car is his pet. If a woman was driving I'd say her hubbie pampers her.